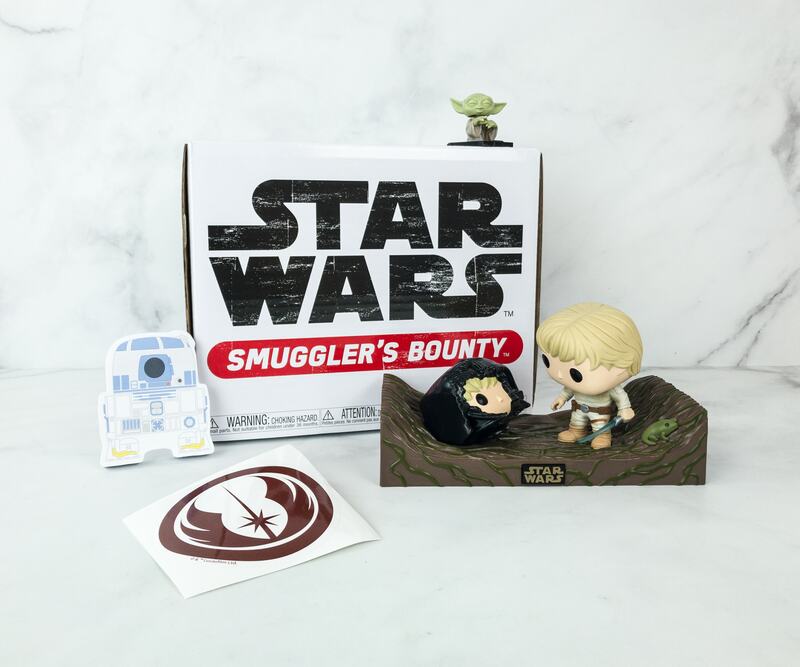 Smuggler’s Bounty February 2019 Subscription Box Review – DAGOBAH Box! 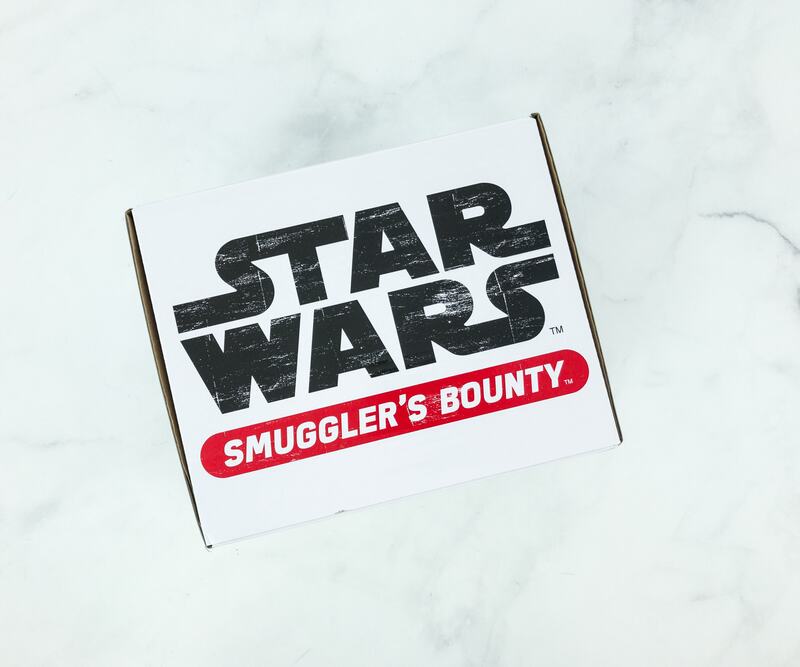 Smuggler’s Bounty is a bi-monthly Star Wars subscription box from Funko and the only official Star Wars subscription box (in the galaxy). 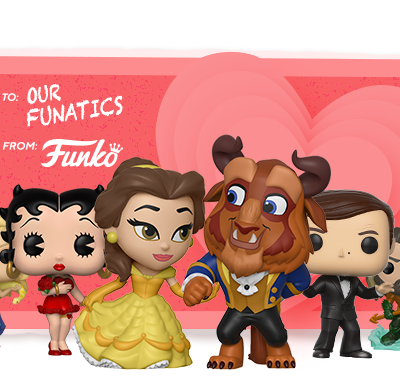 Everything inside is 100% exclusive to the box and designed in collaboration with Funko! 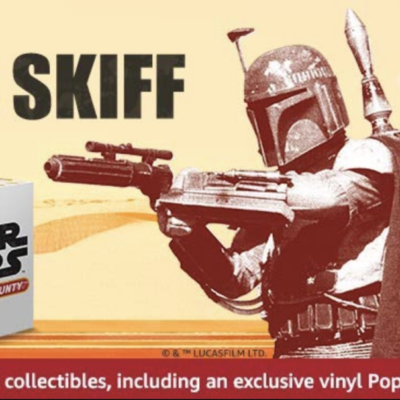 Funko also produces the Marvel Collector Corps Box, the DC Comics box Legion of Collectors, and Disney Treasures. 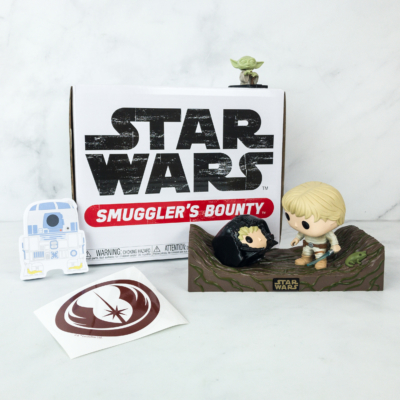 Funko recently ended managing their own subscriptions but has made the past boxes available in their shop with no subscription required. Boxes are $35. 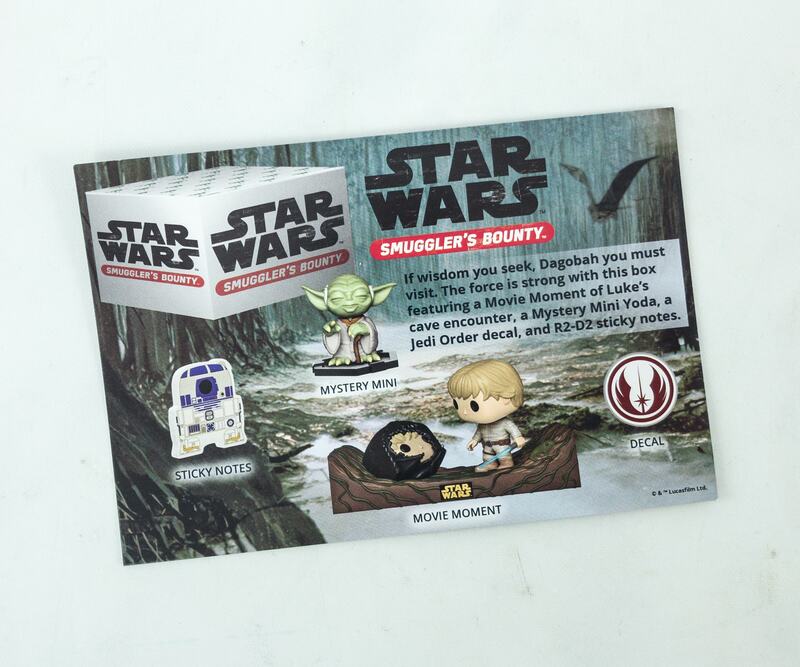 The theme for this month was DAGOBAH! The box is almost full! Some of the items came with individual packaging. For this box, they finally included an info card that tells us more about the items this month! 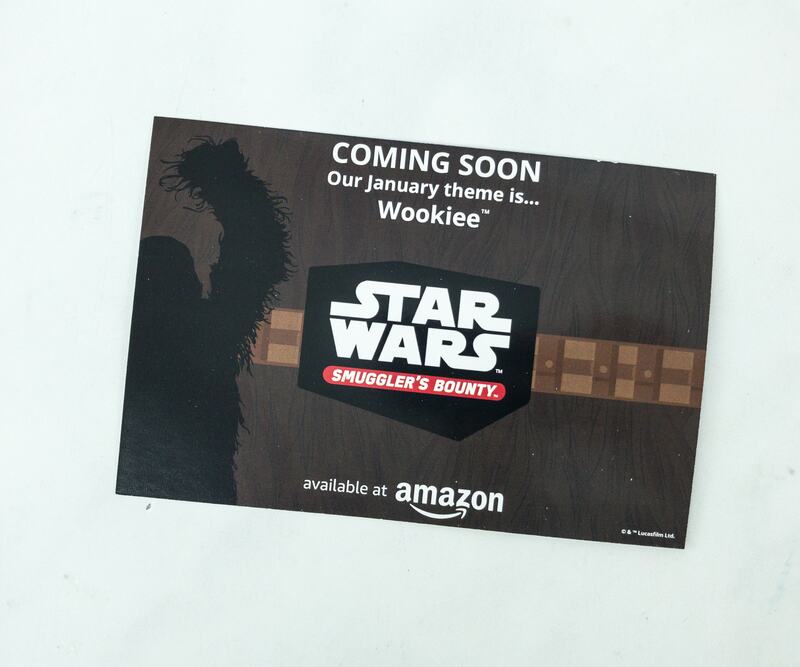 It also gave us a hint on what to expect from the next box that is themed Wookiee™! 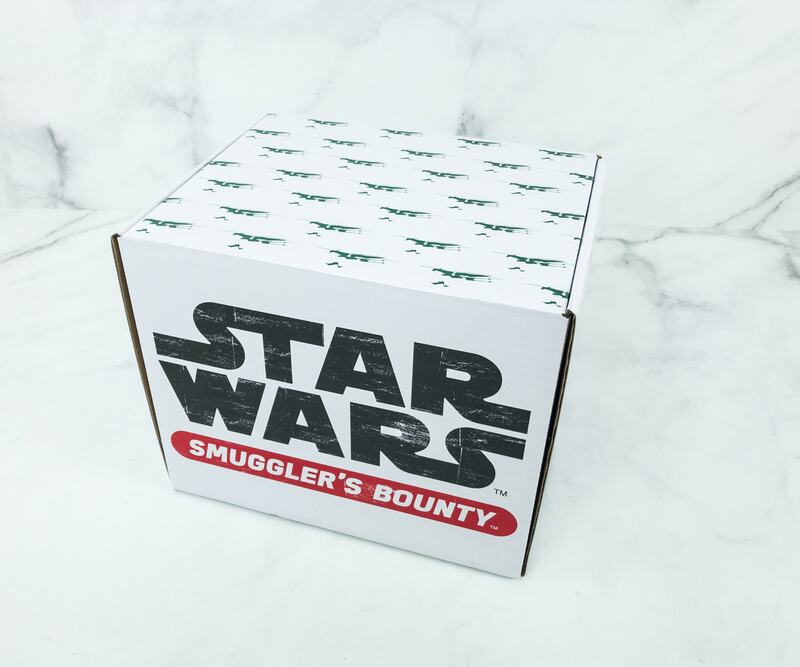 Everything inside the February 2019 Smuggler’s Bounty Star Wars box! 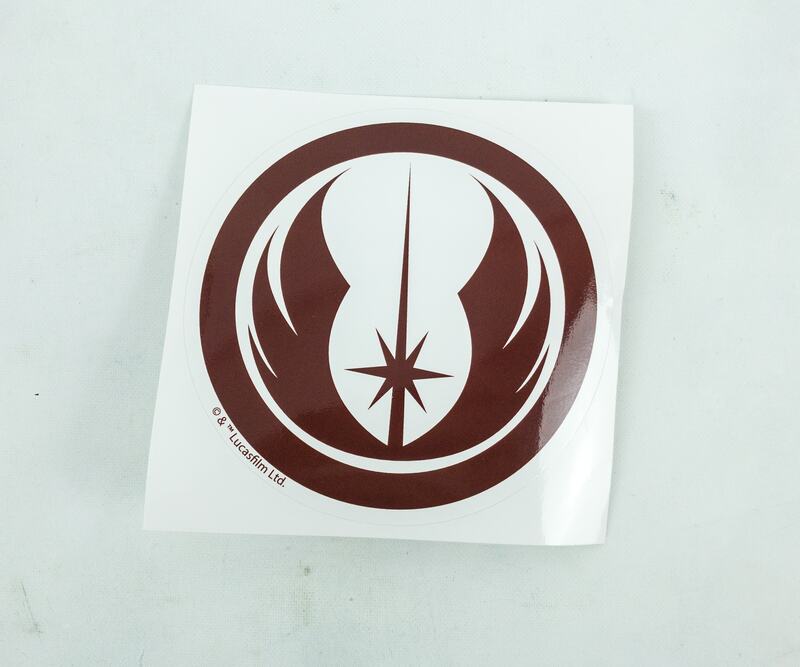 Jedi Order Decal. The Jedi Order, referred to as the Holy Order of the Jedi Knights, was an ancient monastic peacekeeping organization that is unified by its belief and observance of the light side of the Force. It was all about peace until the Clone Wars. 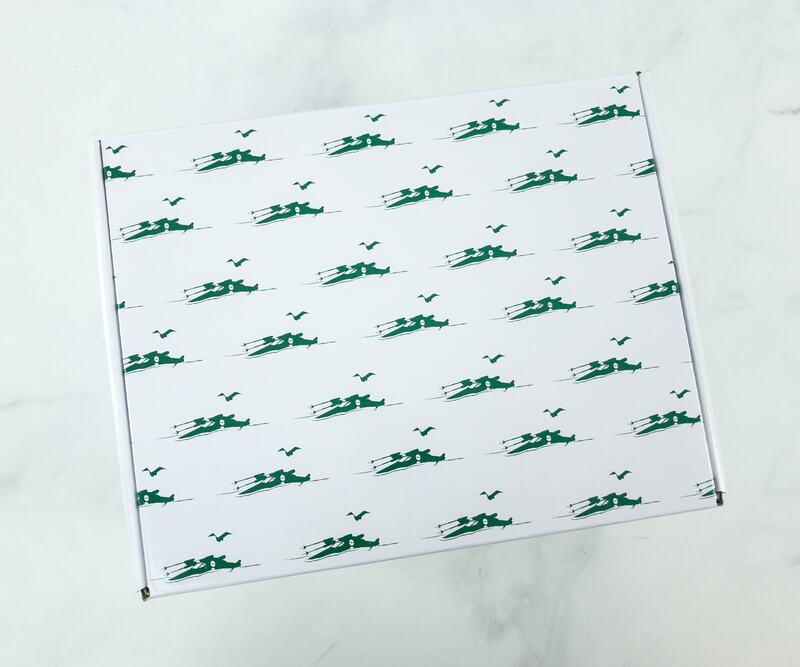 This decal is to pay homage to the Order that once was and it features their symbol of wings and shining light that represents their role and beliefs. 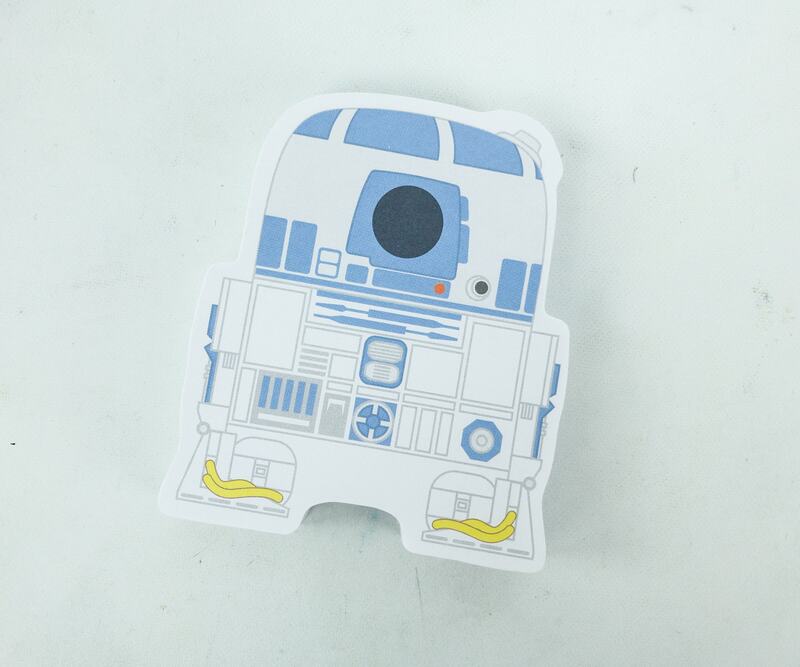 R2-D2 Sticky Notes. Sticky notes are really useful for me! I always use them to remind me of important stuff, so it’s great that a whole pad of Star Wars-inspired stickers is in the box. It features the astromech droid, R2-D2! R2-D2 is a smart, adventurous and dauntless droid that served a multitude of masters over his lifetime. Also, his bravery had saved the galaxy many times! 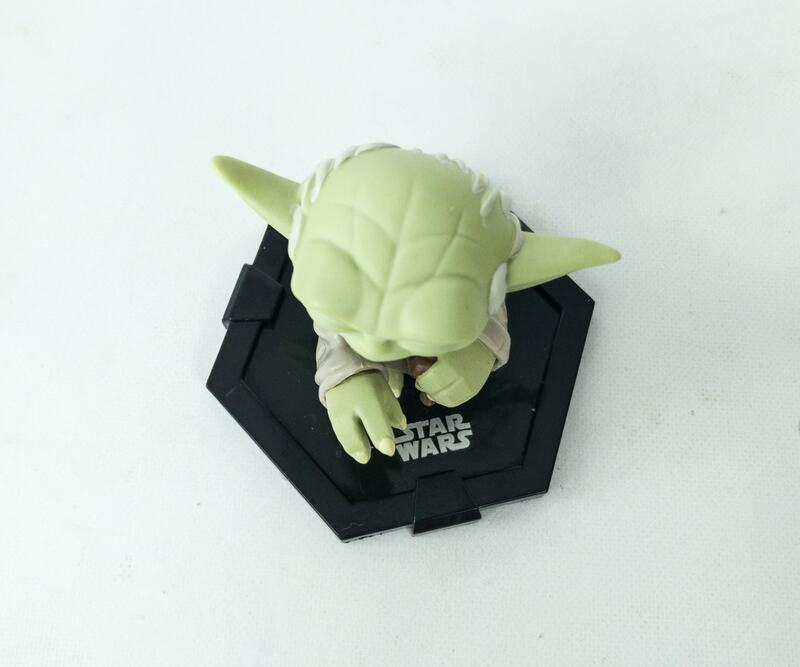 Yoda Mystery Mini Figure. 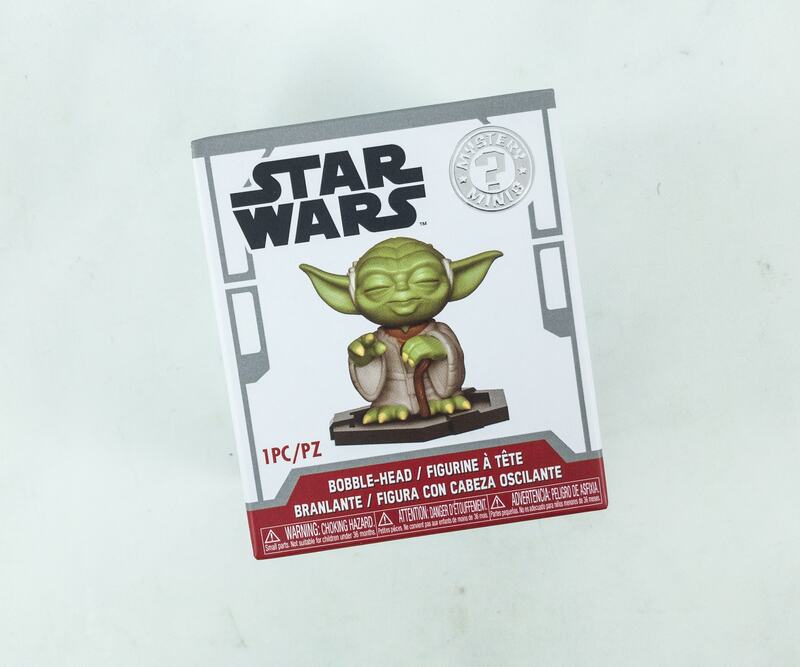 Mystery Minis are definitely one of my favorite inclusions in this box and this month, I got Yoda! 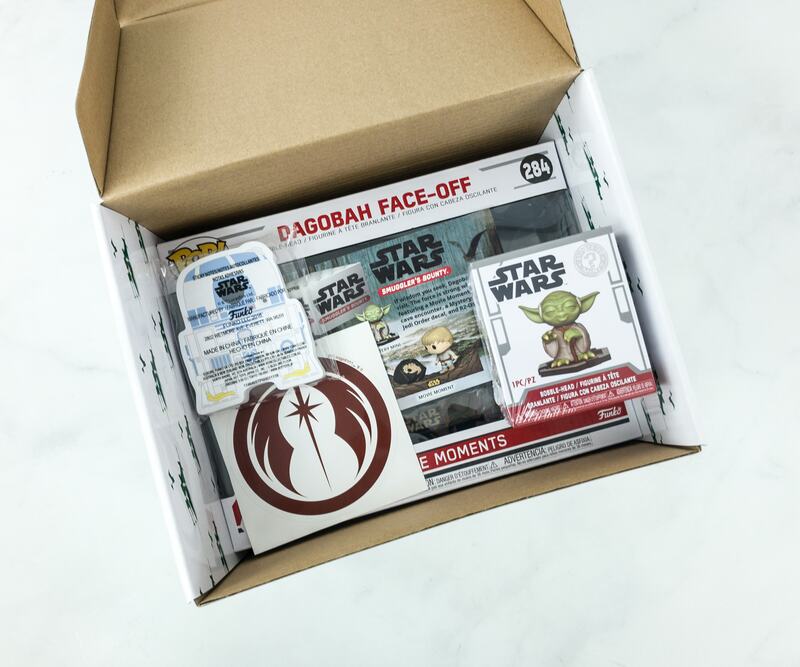 The box’s theme is Dagobah, and it’s just right to include the Jedi Grand Master as it served as his refuge during his exile! 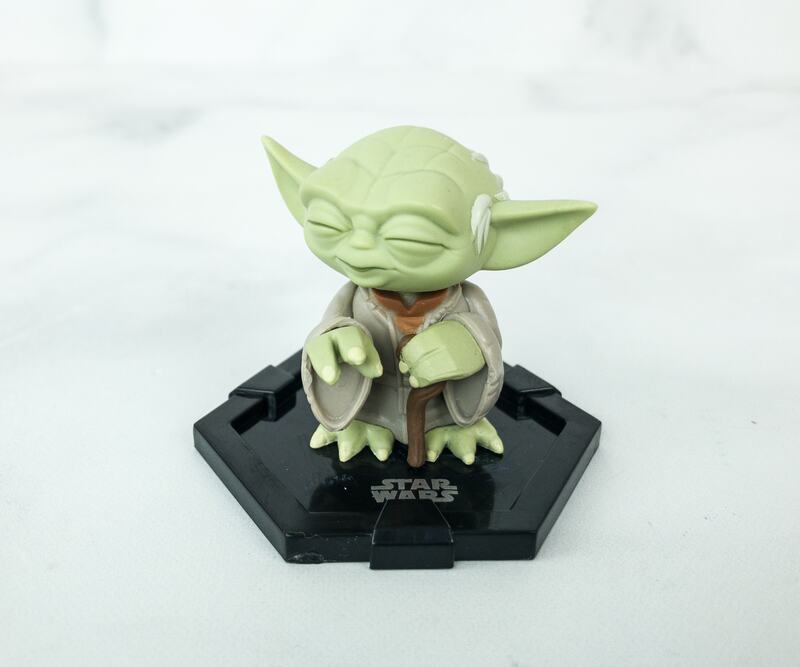 Yoda was one of the most powerful Jedi Masters in galactic history, and he was known for his wisdom, mastery of the Force, and lightsaber combat skills. He also held the title of Master of the Order after the First Battle of Geonosis. He also has a hand in the training of nearly all the Jedi in the Order, the likes of Obi-Wan Kenobi, Ki-Adi-Mundi, and Oppo Rancisis. Yoda came from a mysterious species. And whatever species is that, they looked like gremlins, with that long pointy ears! 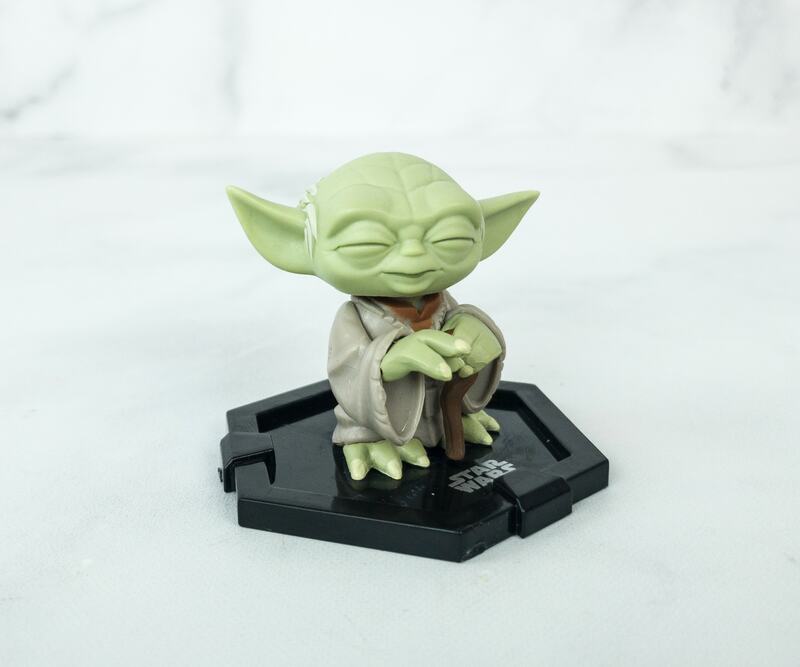 I love the details in this figure as well as it captures his caring personality and the grandfatherly-like figure that he is to his Jedis. 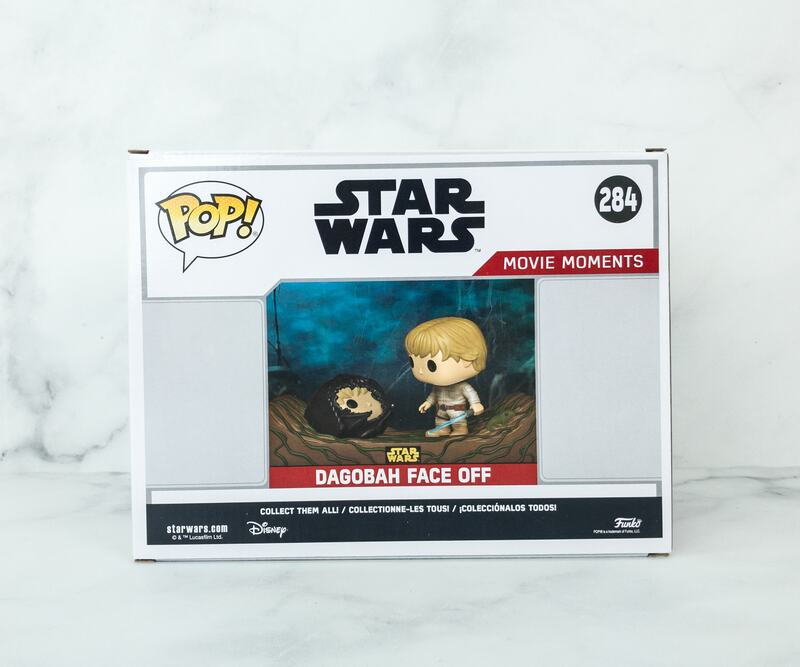 Dagobah Face Off Movie Moment Figure. 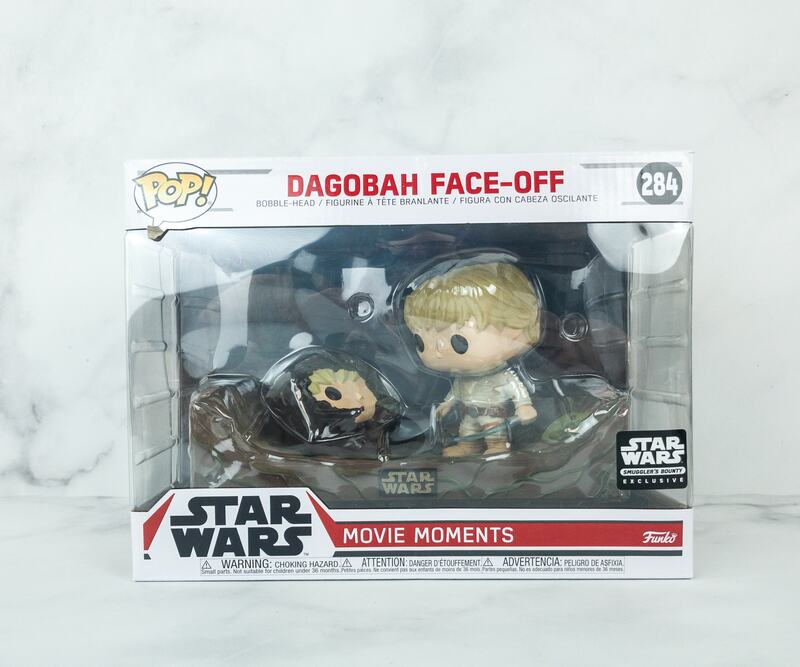 I am so glad that the Movie Moment POP!s is back! 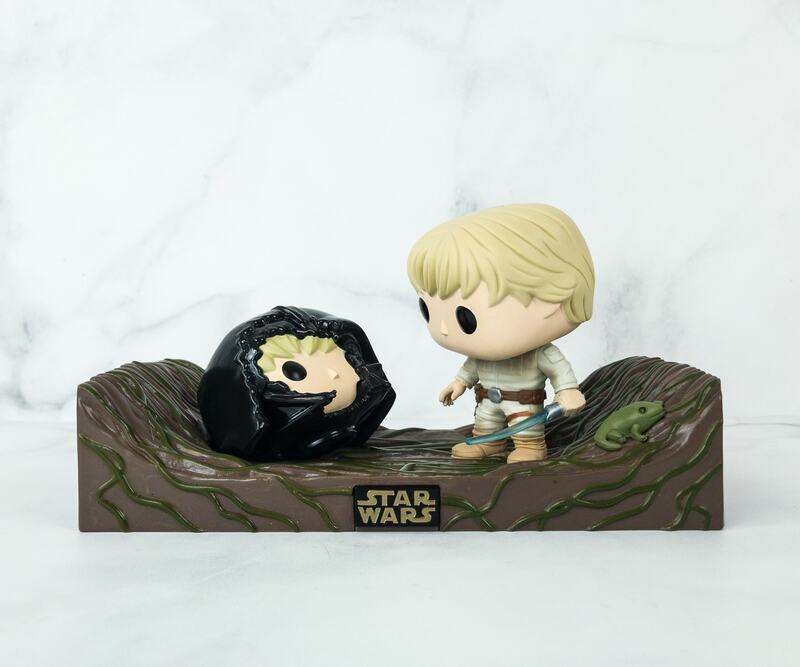 And for this month, I got the epic Dark Side Cave encounter of Luke Skywalker! 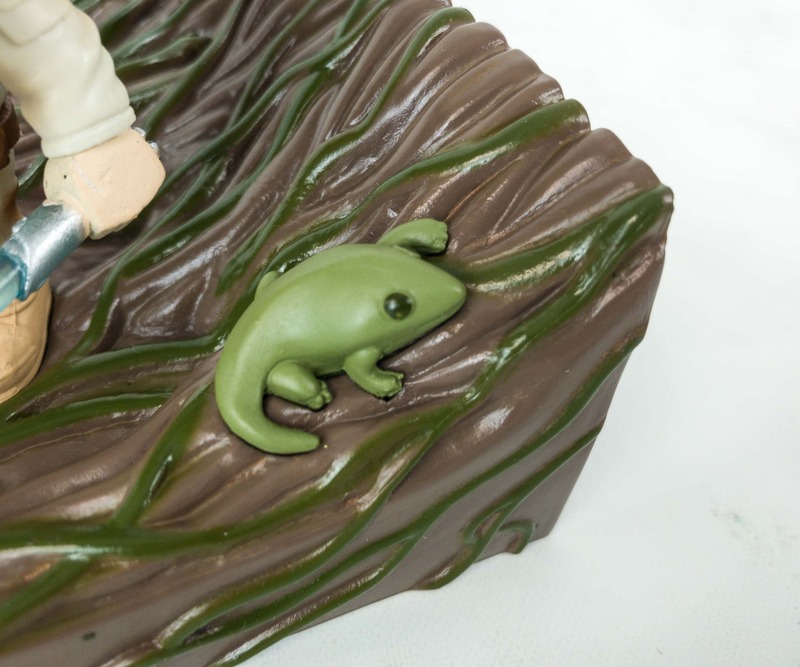 Dagobah is a planet in the Dagobah System and is one of the purest places in the galaxy within the force. It also served as a refuge to Master Yoda during his exile, this is also where Luke received his advanced training, also under Master Yoda, and later, the place of death of Master Yoda before his transformation in the Force. 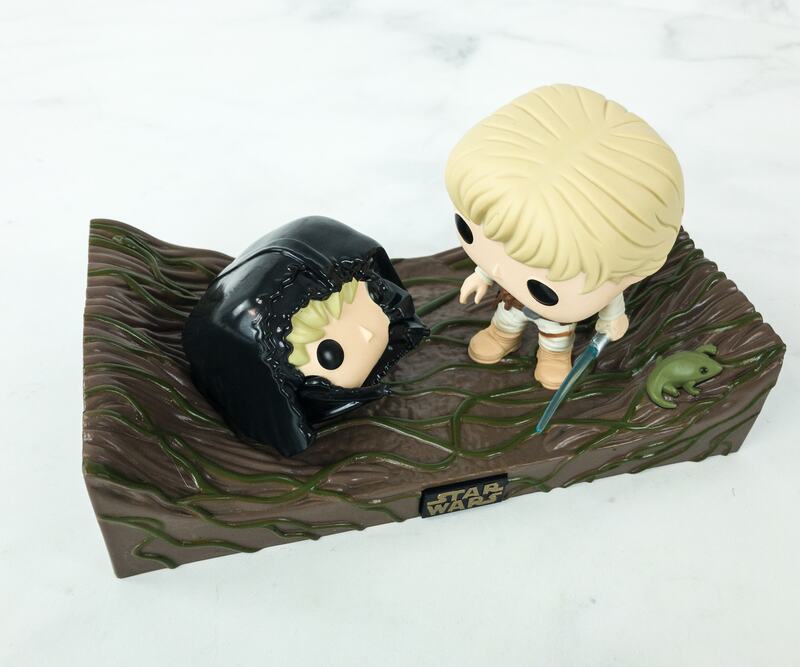 It shows the encounter of Luke Skywalker inside the Dark Side cave, where he confronts the Dark Spirit. He sees the Dark Spirit as Darth Vader, that he also defeated in a lightsaber duel. The wobbly-headed Luke is wielding his blue lightsaber. That piece of the cave’s floor looks legit too, it got some nice details that resembles a real cave floor like scattered green roots! 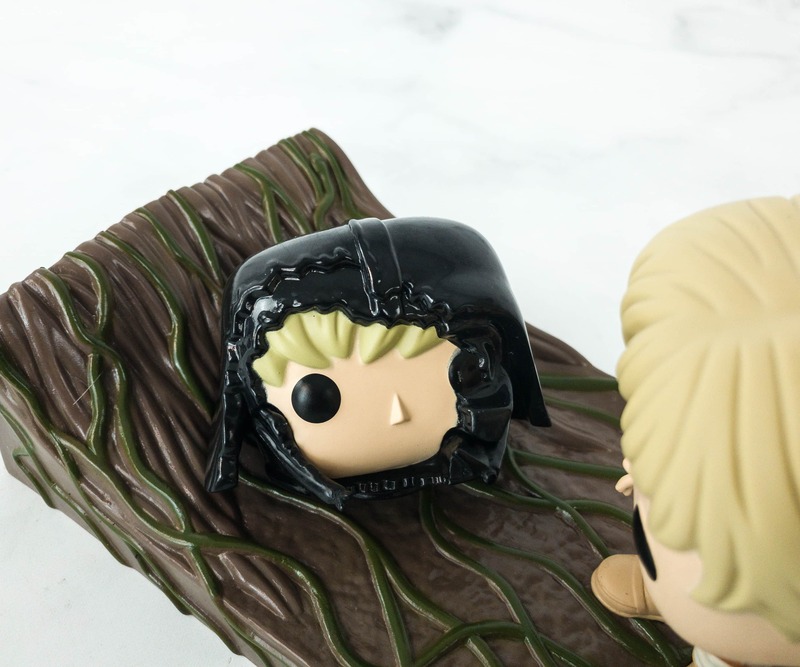 In this captured moment, we can see that Luke is seeing his reflection slowly enveloped by Darth Vader’s helmet! 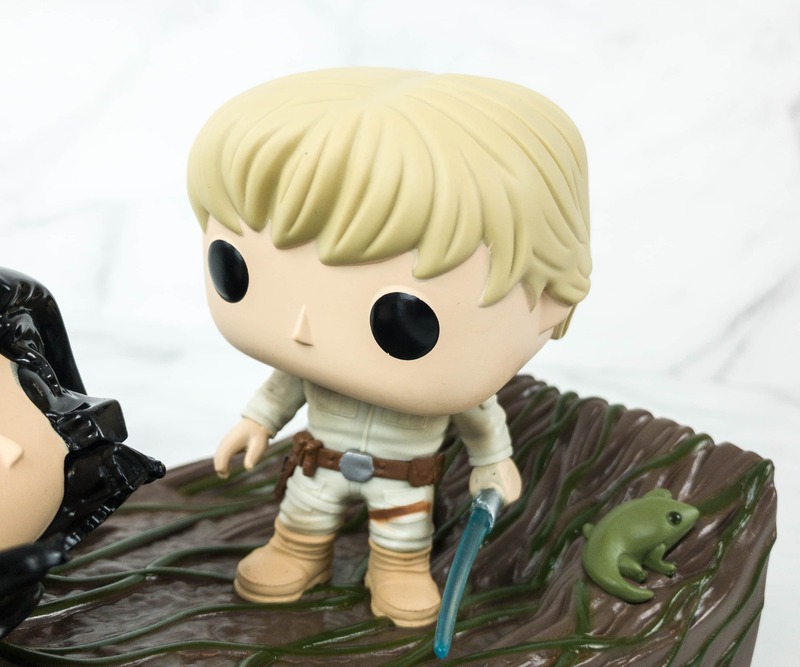 There’s also this little guy beside Luke, which looks like a chameleon, or a frog, or a mix of the two. Whatever it is, it’s there to accompany Luke on his quest of defeating the Dark Spirit in the cave! I was so hyped up when I learned that the Movie Moments POP! is back, and it doubled when I learned that the theme is Dagobah too. I was expecting an epic moment from the planet, and this box delivered. I also wanted to see how Yoda encountered the Dark Spirit in the form of Darth Sidious, but having Luke and Darth Vader is great. I love this series of figures as I yet again relived some epic moments from the franchise. 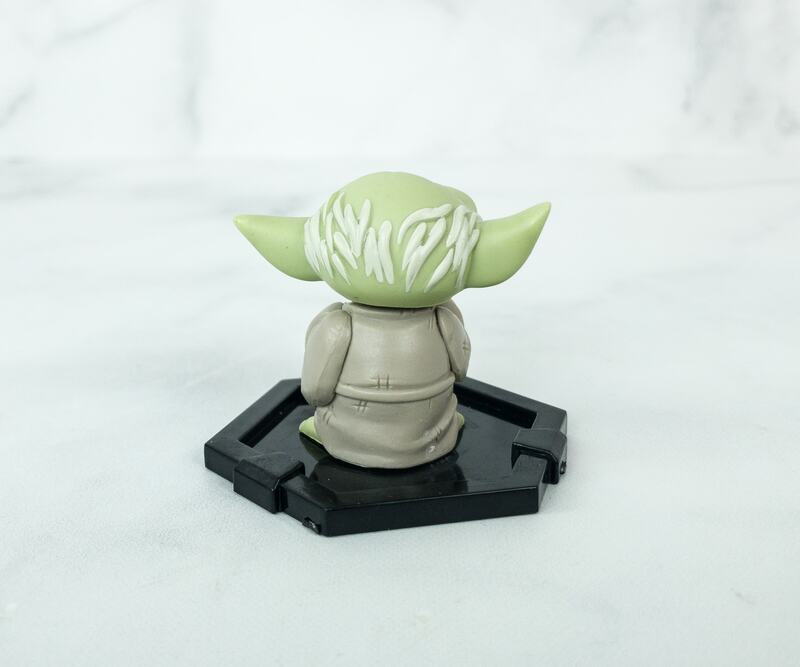 The decal is great and it sticks to most flat surfaces, and the mini-mystery figure features Master Yoda, so I really have no complaints! 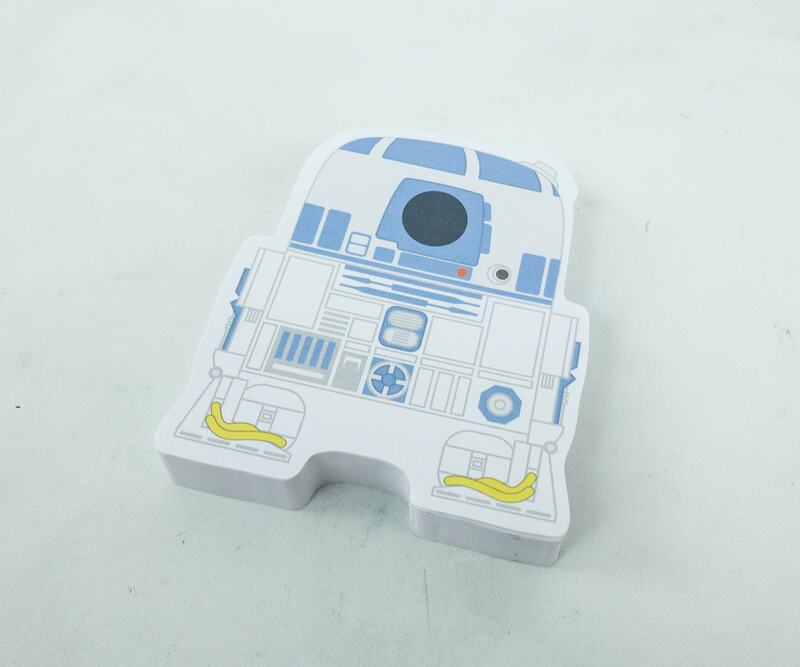 They also included another useful item in the form of R2-D2 notes, so I’m really happy with this box! 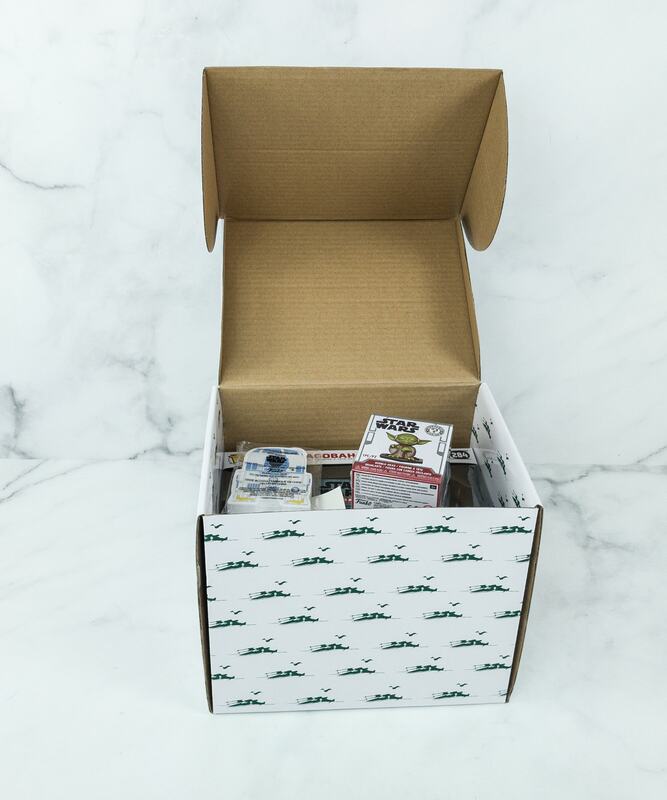 What do you think about the February 2019 box?